Bretton Woods is proud to offer competitive lift ticket rates throughout the 2018 - 19 Winter Season. Buy your lift ticket online or check out our specials for added savings. During non-holiday periods, upgrade your Sunday - Thursday daily lift ticket by 4 pm to ski the next day for just $60. This offer is available Monday- Friday and conditions and blackout dates may apply. This just in… Bretton Woods has once again earned the distinction of “Best Grooming in the East” by SKI Magazine! As one of SKI’s “Resorts of the Year”, we’re thrilled to celebrate our 5th year of this prestigious accolade! For additional information on Bretton Woods, please call us at (603) 278- 3320. Night Skiing and Powder & Pasta have wrapped up for the 2018-19 ski season. Thank you to everyone who came out to enjoy our slopes under the lights and we look forward to seeing you again next season! Ski or ride weekend & holiday evenings until 8pm and enjoy a delicious pasta dinner! Featuring penne pasta with a classic red Italian sauce or savory white alfredo sauce, your choice of mouth watering meatballs or grilled chicken, a side of fresh garlic bread and topped with parmesan cheese...this tasty meal will keep you going strong until the lifts close. The best night skiing deal anywhere, includes ticket and dinner. Not night skiing or have a Bretton Woods season pass and you want pasta? No problem! $15.99 gets you a delicious pasta dinner. Ski or ride all day and into the night on just one lift ticket. The full-day option is valid from when the lifts start spinning until 8pm and the half-day option is valid from 12p-8pm. Day & Night Tickets are only available on days when Night Skiing is offered. Twilight and night skiing, and Powder & Pasta tickets are offered Friday & Saturday nights Dec. 28 - March 9, plus special holiday night skiing on December 26 - 27, 2018; December 30 - 31, 2018; January 20, 2019 and February 17 - 21, 2019. 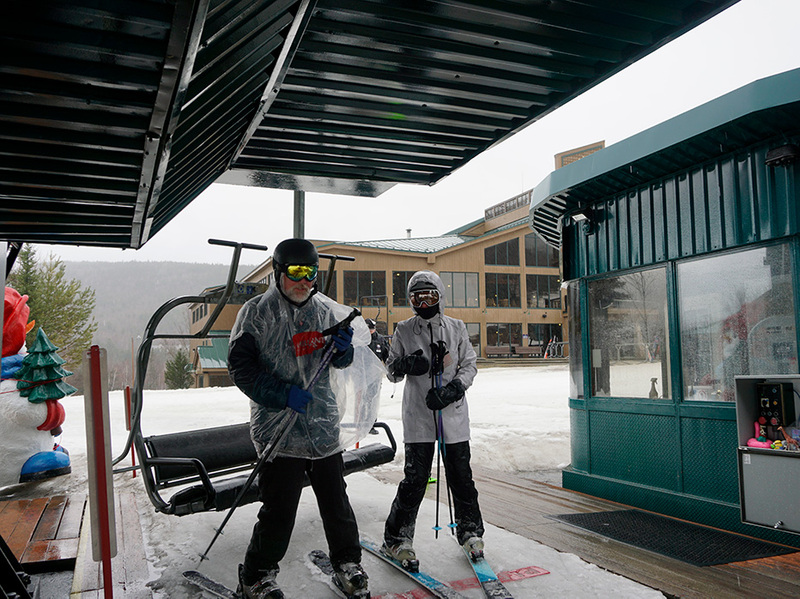 Children ages 4 & under always ski or ride free at Bretton Woods with paying adult! Seniors 80 years of age and older always ski or ride free at Bretton Woods.